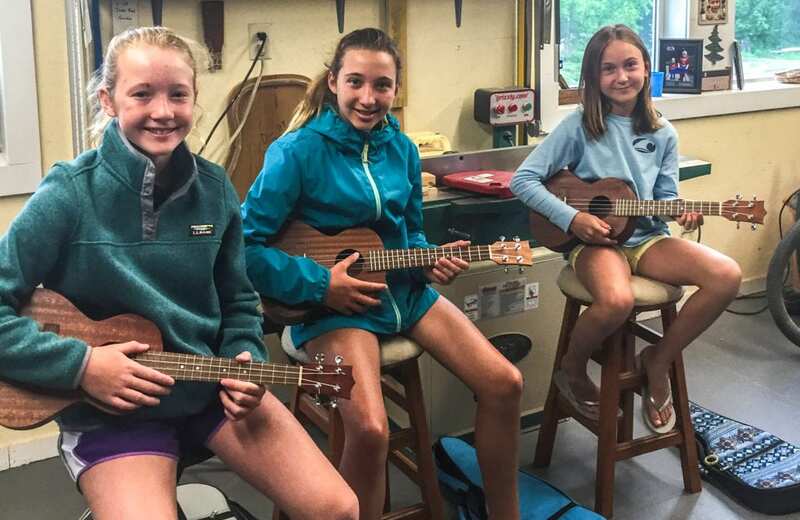 Master Luthier Bill Russo took time out of his busy schedule this week to build 3 custom Ukulele’s with these Block Island Beauties during their vacation here in Maine. The resurgence of the Ukulele is evident in the increased interest and inquiries here at the shop. In response to that, we’ve decided offer a Custom Ukulele Builder’s Workshop. There’s nothing wrong with the base models at the local music stores, however, these custom builds are personalized with specialty woods and marquetry, and as you’d expect we use much higher quality materials. Prices will vary from build to build so please call for pricing and scheduling.